With over 17 years experience, Lesa Marie knows it’s important to cater to the needs of her clients. 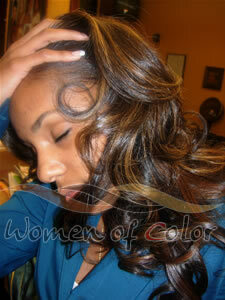 She specializes in thermal texturizer and hair extensions (hair weaving). 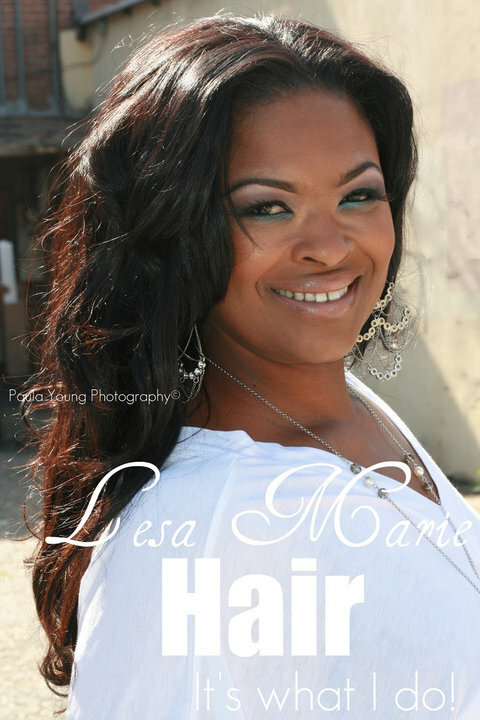 Lesa Marie uses the traditional weaving method, which is the safest for your hair. When receiving service by Lesa Marie, you will do so in her private suite. You will truly receive professional one on one service in this state of the art luxury suite. Equipped with spa type shampoo bed, ionic wall mounted dryer as you relax in a plush chair, using our free WiFi service.. All of Lesa's styling tools are top professional quality, whether she's using her Marcel or ceramic irons. Your entire experience will be remembered. **KTLA News **KJLH Radio **BET "Your Black Is Beautiful" "The Queen LaTifah Show"
Closure weave cut short. Client wanted a short cut without compromising her natural tresses. 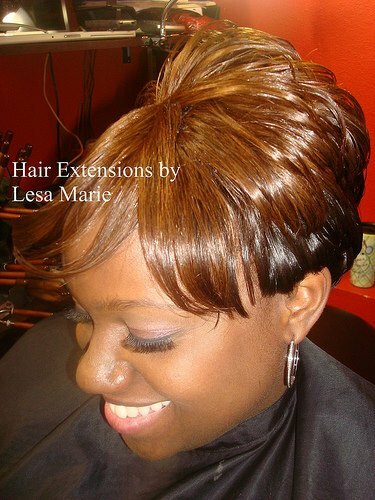 Lesa Marie established Women of Color Salon with the intent of creating a professional salon, where women could receive the best hair care without compromising style. All salon staff members continue to receive training on the latest hair trends and styling methods.